English workshops to equip Primary 5/6 pupils and their parents for the examinations. Class 1 (The Parent Seminar): How can I support my child's learning? 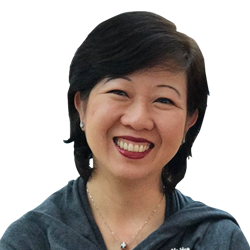 Liza Tay is the founder of L'Attitude which has helped many of its students excel in their PSLE English examinations over the last 13 years. An author of a series of primary-school composition and writing guidebooks, she is also a qualified education professional in California and has recently published Excel In PSLE English, A Smart Study Guide.